Developing countries such as India face ever present problems in infrastructure and health services to meet the needs of their growing populations. The need for adequate services for so many communities taxes the government's ability to meet these needs. However, the outlook isn't so bleak. Both governments and nonprofit organizations have risen to the challenge of global change. Village by village, community by community, and state by state people have worked together to solve the biggest problems of our age. The MAHAN Trust is one of these valiant organizations that serves over 200,000 people in the Melghat area of Maharashtra, India. Malnutrition, lack of resources, and illiteracy have all served as major hindrances to development, by the MAHAN Trust has provided services tirelessly to people in order to better the world we live in. Now, it's time for an upgrade. 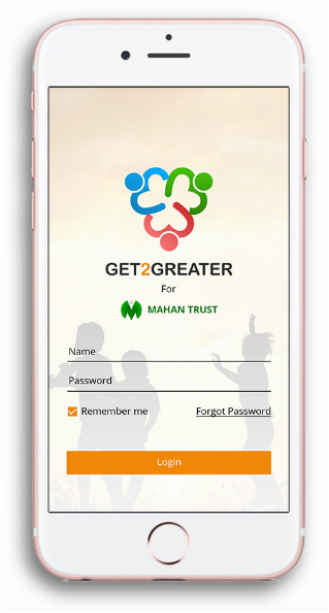 Get2Greater aims to provide electronic tablets and a personalized application for MAHAN Trust volunteers to use in order to record, store, analyze, and disseminate medical information. This will allow them to maximize their efficiency and help as many people as possible. Join us as we help help everyone through the digital age.